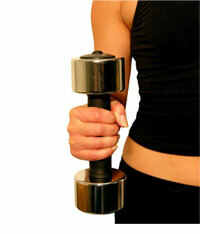 They all work to build muscle tone and burn calories, making them ideal for weight loss. If you’re going to lose weight you certainly have to burn more calories than you’re taking in. If you have more muscle and are in better shape, you’ll also burn more calories because your metabolism will be better and faster. That means you’ll burn more calories even while you’re sleeping, and that’s a great help when it comes to weight loss. Even though exercise and discipline to lose weight isn’t that easy it’s a very rewarding thing to do and has a lot of long-term health implications that you’ll really want to consider. Before buying an exercise tool to help you lose weight, though, consider the options that you have and which one is going to be the best for you. You can’t always get everything that you want in one machine, but you should be able to get most of what you want. What Exercise Equipment Do I Need To Buy? Buying two different kinds of machines might eventually be necessary, too, but you can start slowly and be realistic about what you want to spend and how much exercise you’re actually going to get. There’s no point in spending hundreds of dollars on all kinds of exercise machines if they aren’t going to get any use. If you’re serious about your weight loss goals, though, and you’re committed to them, you should consider getting at least one kind of exercise machine. The simplest of the machines is the treadmill. It’s designed to let you walk, jog, or run in the comfort of your own home. You don’t have to worry about the temperature outside or whether it’s raining, and that can help you stay on target with your goal of losing weight. Some people think treadmills are boring, though, and if you’re one of them you’ll be better off buying something that you enjoy more and that you’ll be more likely to use. One of the best machines for working both upper and lower body is the rowing machine, because it addresses the muscles of the arms and the legs. Exercise bikes are good if you’re more interested in just working the lower part of your body, and while they can help you lose weight some people don’t like them because they don’t do much for the arms and, therefore, they don’t always facilitate weight loss as fast as some other kinds of machines do, so it’s important to consider which machine will really be the best for you. You don’t have to use any kind of machine to lose weight, but a lot of people find that they’re more likely to work at losing weight if they have money invested in an exercise machine and if they have a routine that they actually enjoy.